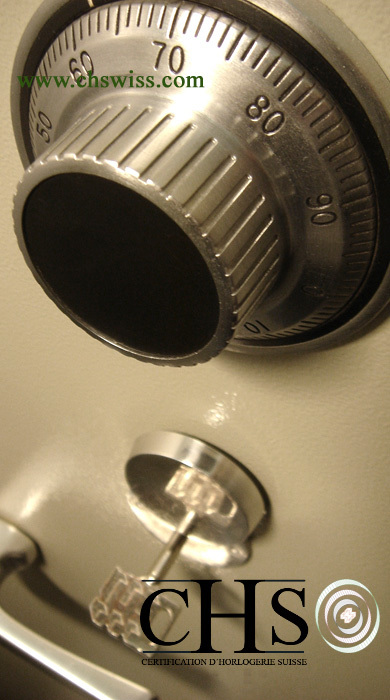 Every Certificate of Registration is issued with a personal security code. 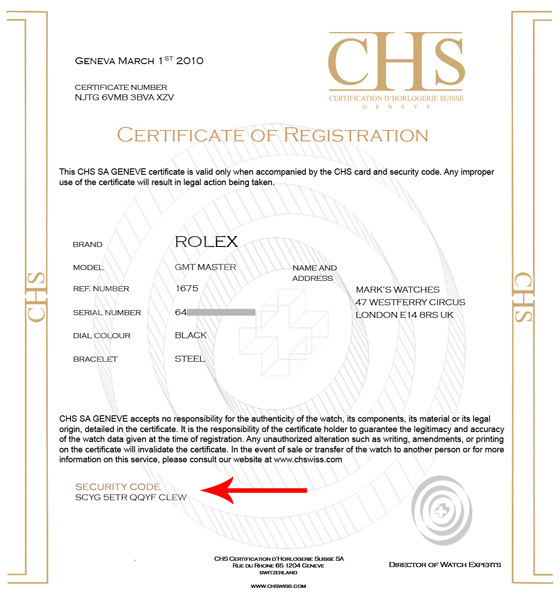 If the customer decides to sell or transfer the watch to another person, the registered name in the database for that watch can be changed using the Security code. It is the responsibility of the new customer to request that the details on file at the International Archives of CHS be changed and a new certificate issued. On receiving this request, CHS will notify the previous certificate-holder by email and if, after 15 days, no objection is made to this request, the transfer will take place automatically. Important: Please note that the CHS card forms an integral part of the Certificate of Registration and one must accompany the other to be valid.